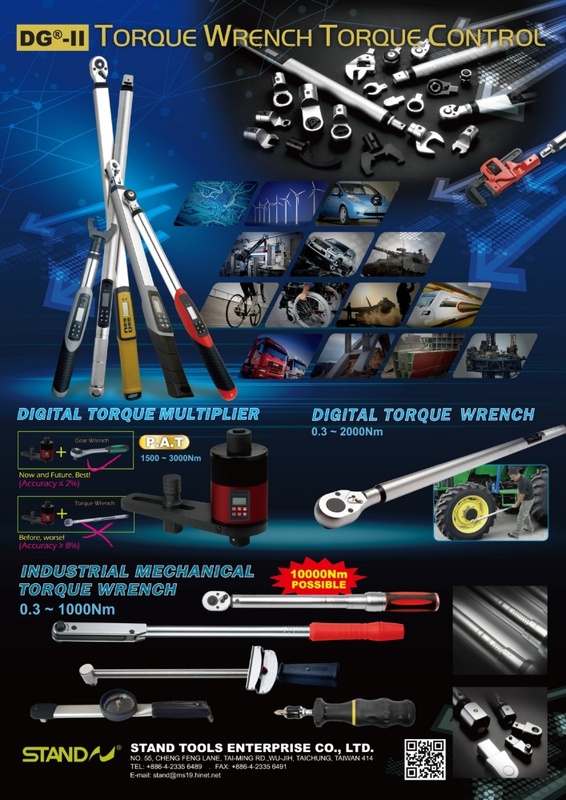 STAND TOOLS was established in Taiwan since 1988. Because of persevering, training, acting, not excusing the failure, looking for better quality and R&D, STAND TOOLS was successfully building a perfect beginning. Although there are few resources, STAND TOOLS has stepped steadily due to the accomplishments of new products introduced into the market fast and efforts of all staff and researchers. In order to manufacture products efficiently, increase the quantity of output, and improve the working environment, STAND TOOLS moved and extended the factory in 1996. It was the serious time since devaluation of New Taiwan Dollar. However, STAND TOOLS was not only passing the depression but also keeping the sales growth. Moreover, because of the new 6000 square factory, STAND TOOLS can improve the quality, enhance the capacity, and offer much better service. It created outstanding records in the decade. Facing the violent rivalry in the hand tool market and the rapid improvement of transportation and technology, STAND TOOLS starts the international busi ness. Therefore, STAND TOOLS standardized the production procedure within the ISO 9001 approved on March in 1999. It makes STAND TOOLS have more competitive advantages than other manufacturers and trade companies.